Shimberg Homes brings the location, quality and value to our homeowners in the Interbay area. This South Tampa neighborhood is located on the Southwestern tip of the Interbay Peninsula in Hillsborough County. It is a great choice for nearly everyone, receiving accolades in most every category. With great schools, ample public transportation, tons of restaurants, outstanding shopping and recreation, a variety of sporting events and proximity to downtown Tampa, Ybor City and Channelside. In addition, Interbay has easy, quick access to MacDill Airforce Base, Gandy Boulevard Bridge, St. Pete and Clearwater Beaches. Interbay Crossings is a ten home site development neighborhood proudly presented by Shimberg Homes. Our affordable attention to detail homes offer new homeowners high appeal/high value homes in an ideal location. It is our fusion of great homes and great locations at a competitive price point that adds up to an exceptional experience for our new home buyers. UNDER CONSTRUCTION Location, Location, Location. Move in Ready April 2019. 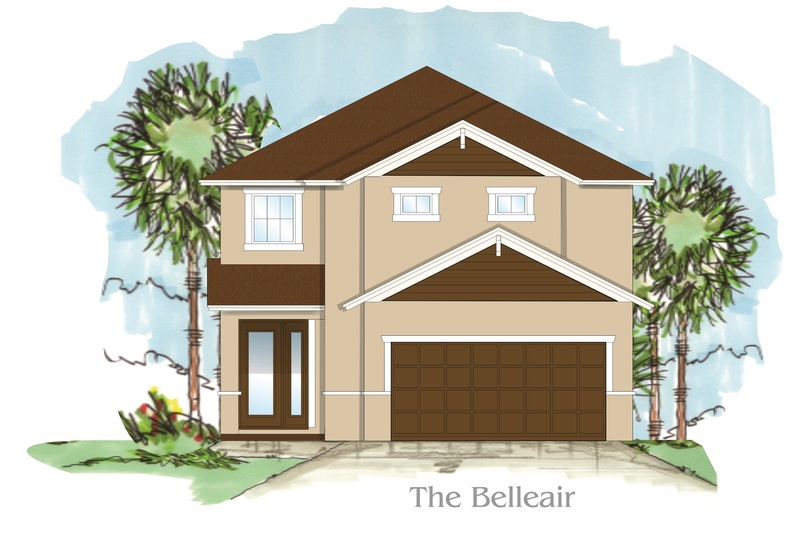 Shimberg Homes presents The Belleair Model. 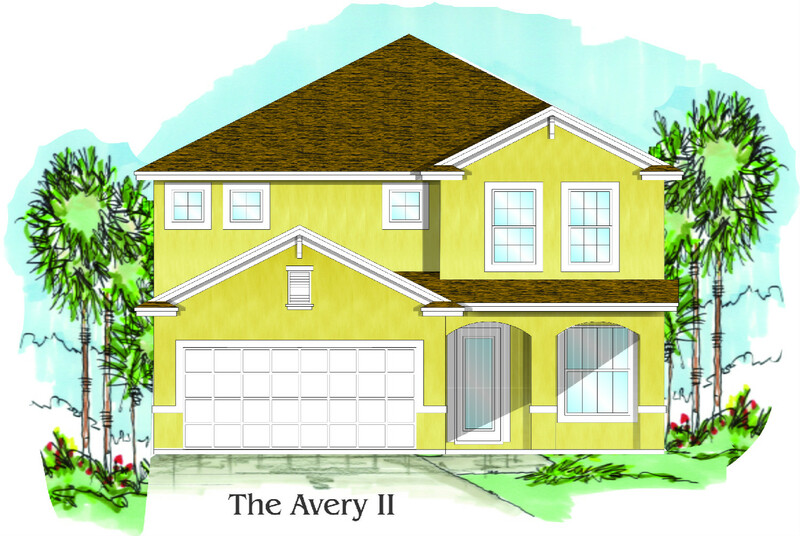 9 Lots remaining at the crossings! Please call, text or email Troy Glaves, Director of New Home Sales, for specific details at (813) 778-2679 or trg@shimberghomes.com Available 7 days a week. This 4 Bedroom, 2.5 Bath 2 Car Garage, Two Story Home The (Belleair) has 2405 living sq ft. XL LOT(55x150 room for pool). Loaded with upgrades Galore, this home features a stunning architectural design with 8' tall entry door, Volume Ceilings throughout. This home boasts a 1st FLOOR STUDY/BEDROOM and a conveniently located inside Laundry. The Extra Large Family Room is great for Entertaining. Upstairs, the luxurious Master Bedroom and Bath features one XXL walk in closet, stand alone XL Shower as well as his and her vanity sinks. There are 3 additional spacious Bedrooms Upstairs, as well as additional full bath. The Gourmet Kitchen features 36" Birch Upper Cabinets, Stainless Steel Appliances, Granite Counter Tops throughout and 1/2 bath compliment the first floor. With Shimberg Homes Magnolia Series Luxury Feature List and over 45 years of Shimberg Homes Family tradition of building affordable, quality, attention to detail luxury homes, you will not be disappointed! Move in Ready February-March 2019. Please call, text or email Troy Glaves, Director of New Home Sales, for specific details at (813) 778-2679 or trg@shimberghomes.com Available 7 days a week. UNDER CONSTRUCTION Location ,Location,Location. Shimberg Homes presents The Avery II Model, this 4 Bedroom,2.5 Bath 2 Car Garage .Two Story Home The (Avery II) has 2322 living sq ft. Loaded with upgrades Galore,this home features a stunning architectural design with 8' tall entry door , Volume ceilings throughout .This home Boasts a formal living room and the Extra Large family room is great for Entertaining ,Upstairs ,the luxurious master bedroom and bath features one XXL walk in closet, stand alone XL shower as well as his and her vanity sinks . There are 3 additional spacious bedrooms upstairs, ,as well as additional full bath, and a conveniently located inside laundry room. The Gourmet Kitchen features 36" Birch upper Cabinets ,stainless steel appliances, Granite counter tops throughout .a,mud room and 1/2 bath compliment the first floor. with Shimberg Homes Magnolia Series Luxury feature List and over 45 years of Shimberg Homes Family tradition of building affordable, quality ,attention to detail luxury homes, you will not be disappointed! 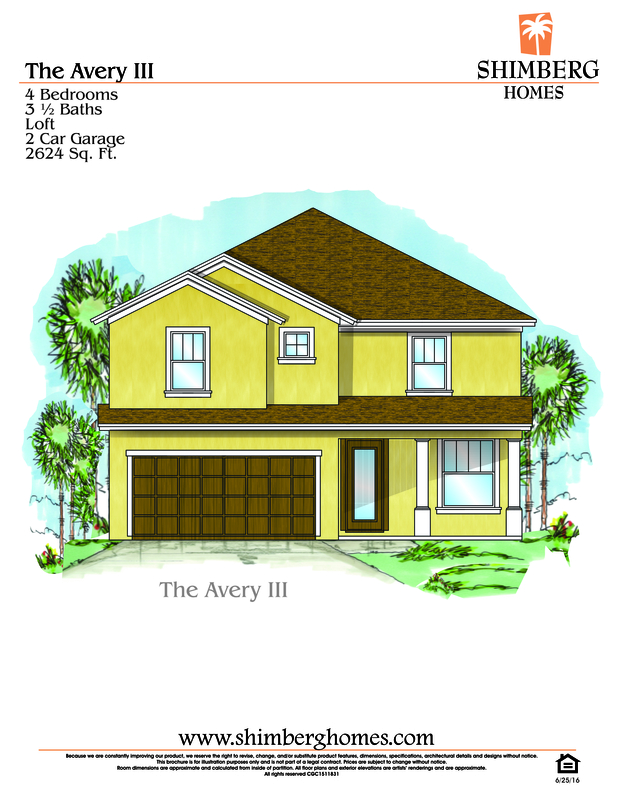 Move in Ready MARCH 2019 Please call, text or email Troy Glaves, Director of New Home Sales, for specific details at (813) 778-2679 or trg@shimberghomes.com Available 7 days a week.